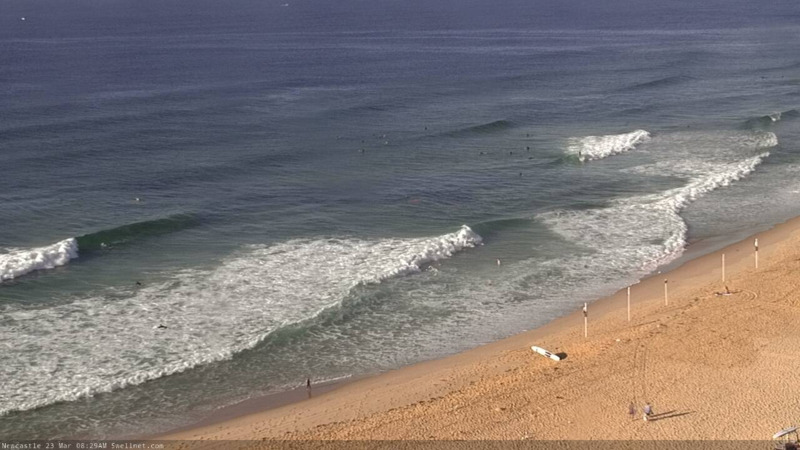 Best Days: Sat/Sun/Mon: small mix of E/NE swells with mainly light winds. Small NE windswell early Sun too. Tues PM/Wed: strong S'ly swells, though tricky winds. Next Thurs onwards: slowly building E/NE swells, looking great for the long term. Recap: Small E’ly swells have rebuilt across the coast over the last few days, providing occasional 2ft+ sets at exposed beaches, and it’s been clean with light winds. No major change to the weekend outlook, with small swells out of the E/NE, keeping exposed beaches rideable with slow, inconsistent waves up to 2ft+. We'll continue to see long breaks between the bigger waves, which also means lengthy lully periods at times. Keep your expectations low and hopefully you'll be pleasantly surprised. Saturday morning will be clean with light offshore winds, and freshening NE sea breezes into the afternoon will strengthen overnight as a trough approaches from the south. These winds will generate a small secondary NE windswell for Sunday morning, but local conditions should clean up with light variable winds ahead of a shallow S’ly change that’s due into Wollongong late morning and Sydney around lunchtime. A brief period of gusty conditions is likely in the wake of the change but it’ll ease late in the day and allow conditions to improve slightly for the late session. Expect the NE windswell to ease back throughout the weekend. Monday looks to see small infrequent E/NE swell, very similar to what we’re expecting over the weekend, sourced from distant activity in the South Pacific this week. A small stationary N’ly fetch off the Mid North Coast may also generate minor NE windswells for the coast. Winds should be light so conditions are expected to be clean, though we’ll be in a troughy pattern to local variability is possibility. While this is going on, a broad, intense low will be impacting the SA, Vic and Tasmanian coasts, delivering storm force W’ly winds. Most of this activity will be behind the Tasmanian swell shadow (relative to our swell window) and the system is not expected to enter our swell window until early Tuesday morning. 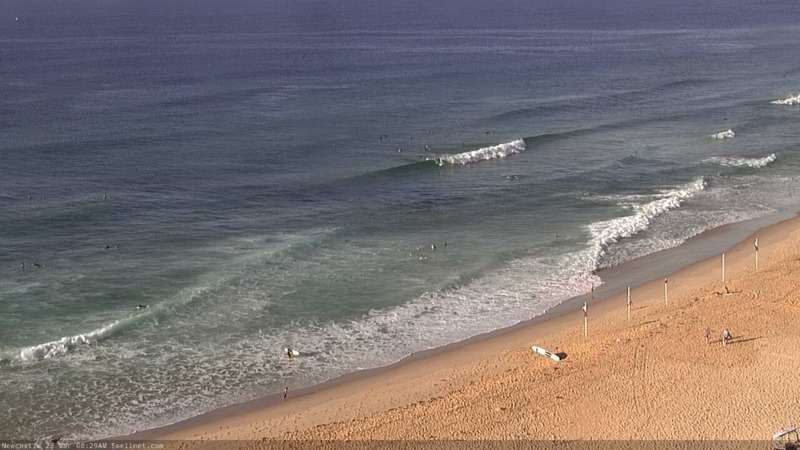 This means the first opportunity for a fresh south swell will be later Tuesday afternoon. 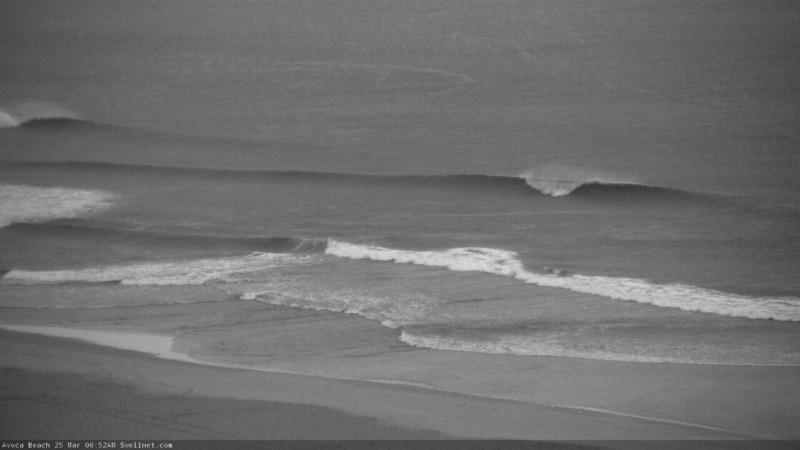 At this stage I’m expecting occasional 3ft sets at south facing beaches by the end of the day, with tiny conditions until lunchtime at least, if not early/mid afternoon too - but I’ll refine this on Monday. Better quality S’ly swells will fill in on Wednesday, sourced from the parent low below Tasmania and this should increase south facing beaches into the 3-5ft range. Local winds do look slightly problematic with freshening southerlies coinciding with the upwards trend and peak of the swell, but there will likely be a window of lighter SW winds early Wednesday morning. Again, I’ll refine that outlook on Monday. Otherwise, a coastal trough is expected to develop off Northern NSW around Wed/Thurs, and will generate short range E’ly tending NE swell for the second half of the week. Additionally, a tropical system near Fiji around Monday will slowly evolve into a decent swell generating system through the week, and move westward towards the coast. It’s expected be broad in width and slow moving and is shaping up to deliver an extended period of quality E/NE groundswell. We’ll see small, inconsistent surf fill in around Thursday and Friday but next weekend is when we’re likely to see a more prominent round of energy, holding into the start of the following week. In fact there’s a suggestion this system could evolve into a significant E’ly dip south of New Caledonia later next week, generating large surf for parts of the East Coast to finish the month of March - but this is all quite some time away, so let’s take a closer look on Monday. 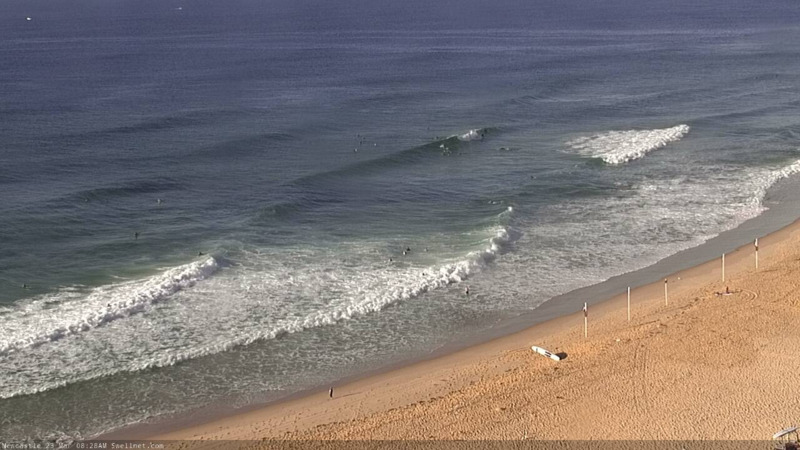 Nothing big, but gee the E'ly swell looks fun across the beaches today. Newy showing decent waves.